Jean Marie Maurice Schérer or Maurice Henri Joseph Schérer, known as Éric Rohmer (French: [eʁik ʁomɛʁ], 21 March 1920 – 11 January 2010), was a French film director, film critic, journalist, novelist, screenwriter, and teacher. Rohmer was the last of the post-World War II French New Wave directors to become established. He edited the influential film journal, Cahiers du cinéma, from 1957 to 1963, while most of his colleagues—among them Jean-Luc Godard and François Truffaut—were making the transition from film critics to filmmakers and gaining international attention. After Rohmer's death in 2010, his obituary in The Daily Telegraph described him as "the most durable filmmaker of the French New Wave", outlasting his peers and "still making movies the public wanted to see" late in his career. Rohmer was born Jean-Marie Maurice Schérer (or Maurice Henri Joseph Schérer) in Nancy (also listed as Tulle), Meurthe-et-Moselle department, Lorraine, France, the son of Mathilde (née Bucher) and Lucien Schérer. Rohmer was a Catholic. He was secretive about his private life and often gave different dates of birth to reporters. He fashioned his pseudonym from the names of two famous artists: actor and director Erich von Stroheim and writer Sax Rohmer, author of the Fu Manchu series. Rohmer was educated in Paris and received an advanced degree in history. He also studied literature, philosophy, and theology as a student. Rohmer first worked as a teacher in Clermont-Ferrand. In the mid-1940s he quit his teaching job and moved to Paris, where he worked as a freelance journalist. In 1946 he published a novel, Elisabeth (AKA Les Vacances) under the pen-name Gilbert Cordier. In about 1949, while living in Paris, Rohmer first began to attend screenings at Henri Langlois's Cinémathèque Française, where he first met and befriended Jean-Luc Godard, François Truffaut, Claude Chabrol, Jacques Rivette and other members of the French New Wave. Rohmer had never been very interested in film and always preferred literature but soon became an intense lover of films and switched from journalism to film criticism. He wrote film reviews for such publications as Révue du Cinéma, Arts, Temps Modernes and La Parisienne. In 1950, he co-founded the film magazine La Gazette du Cinéma with Rivette and Godard, however its existence was short-lived. In 1951 Rohmer joined the staff of André Bazin's newly founded film magazine Cahiers du Cinéma, of which he would eventually become the editor in 1956. 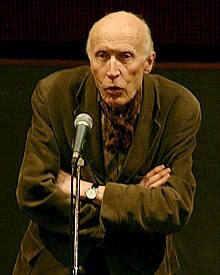 There, Rohmer established himself as a critic with a distinctive voice; fellow Cahiers contributor and French New Wave filmmaker Luc Moullet later remarked that, unlike the more aggressive and personal writings of younger critics like Truffaut and Godard, Rohmer favored a rhetorical style that made extensive use of questions and rarely used the first person singular. Rohmer was known as being more politically conservative than most of the staff at Cahiers, and his opinions were highly influential on the direction of the magazine during his time as editor. Rohmer first published articles under his real name but began using "Éric Rohmer" in 1955 so that his family would not find out that he was involved in the film world, of which they would have disapproved. In 1950 Rohmer made his first 16mm short film, Journal d'un scélérat. The film starred writer Paul Gégauff and was made with a borrowed camera. By 1951 Rohmer had a bigger budget provided by friends and shot the short film Présentation ou Charlotte et son steak. The 12-minute film was co-written by and starred Jean-Luc Godard. The film was not completed until 1961. In 1952 Rohmer began collaborating with Pierre Guilbaud on a one-hour short feature, Les Petites Filles modèles, but the film was never finished. In 1954 Rohmer made and acted in Bérénice, a 15-minute short based on a story by Edgar Allan Poe. In 1956 Rohmer directed, wrote, edited and starred in La Sonate à Kreutzer, a 50-minute film produced by Godard. In 1958 Rohmer made Véronique et son cancre, a 20 minute-short produced by Chabrol. Chabrol's company AJYM produced Rohmer's feature directorial debut, The Sign of Leo (Le Signe du lion) in 1959. In the film an American composer spends the month of August waiting for his inheritance while all his friends are on vacation and gradually becomes impoverished. It included music by Louis Sagver. The Sign of Leo was later recut and rescored by distributors when Chabrol was forced to sell his production company, and Rohmer disowned the recut version. In 1962 Rohmer and Barbet Schroeder co-founded the production company Les Films du Losange (they were later joined by Pierre Coltrell in the late 1960s). Les Films du Losange produced all of Rohmer's work (except his last three features produced by La Compagnie Eric Rohmer). The fourth "Moral Tale" was My Night at Maud's in 1969. The film was made with funds raised by François Truffaut, who liked the script, and was initially intended to be the third "Moral Tale". But because the film takes place on Christmas Eve, Rohmer wanted to shoot the film on and around Christmas Eve. Actor Jean-Louis Trintignant was not available so filming was delayed for an entire year. The film centers on Pascal's Wager and stars Trintignant, Françoise Fabian, Marie-Christine Barrault and Antoine Vitez. My Night at Maud's was Rohmer's first successful film both commercially and critically. It was screened and highly praised at the 1969 Cannes Film Festival and later won the Prix Max Ophüls in France. It was released in the US and praised by critics there as well. It eventually received Oscar nominations for Best Original Screenplay and Best Foreign Film. James Monaco said that "Here, for the first time the focus is clearly set on the ethical and existential question of choice. If it isn't clear within Maud who actually is making the wager and whether or not they win or lose, that only enlarges the idea of "le pari" ("the bet") into the encompassing metaphor that Rohmer wants for the entire series." Rohmer saw the full-face closeup as a device that does not reflect how we see each other and avoided its use. He avoids extradiegetic music (not coming from onscreen sound sources), seeing it as a violation of the fourth wall. He has on occasion departed from the rule by inserting soundtrack music in places in The Green Ray (1986) (released as Summer in the United States). Rohmer also tends to spend considerable time in his films showing his characters going from place to place, walking, driving, bicycling or commuting on a train, engaging the viewer in the idea that part of the day of each individual involves quotidian travel. This was most evident in Le Beau Mariage (1982), which had the female protagonist constantly traveling, particularly between Paris and Le Mans. ^ Rohmer was obsessively private and gave out different dates of birth; other dates that appear in sources include 4 April 1920, 1 December 1920 and 4 April 1923. ^ a b c d e "Eric Rohmer". The Daily Telegraph. 2010-01-11. Retrieved 2010-01-11. ^ a b c d "French filmmaker Eric Rohmer dies at 89". CBC News. 2010-01-11. Retrieved 2010-01-11. ^ a b c d e f g h i j k l m n o p q r s t u v w x y z aa ab ac ad ae af ag ah ai aj ak al am an ao ap John Wakeman, World Film Directors, Volume 2, 1945-1985. New York: H. W. Wilson, 1988. pp. 919-928. ^ a b c d e f g h Ruadhán Mac Cormaic (2010-01-11). "Film-maker Rohmer dies in Paris". The Irish Times. Retrieved 2010-01-11. ^ Luc Moullet. The Mask and the Role of God. Mubi Notebook. ^ a b c James Monaco. The New Wave. New York: Oxford University Press. 1976. p. 287. ^ Glòria Salvadó Corretger, "Object/Subject: The Films of Eric Rohmer," Formats (2005), http://www.upf.edu/materials/depeca/formats/arti8_ing.htm Archived 14 December 2012 at the Wayback Machine . ^ James Monaco. The New Wave. New York: Oxford University Press. 1976. p. 292. ^ James Monaco. The New Wave. New York: Oxford University Press. 1976. p. 290. ^ James Monaco. The New Wave. New York: Oxford University Press. 1976. p. 288. ^ a b "French film maker Rohmer dies at 89". Philippine Daily Inquirer. 12 January 2010. Archived from the original on 13 January 2010. Retrieved 11 January 2010. ^ Review of Éric Rohmer coffret intégrale (Éditions Potemkine, 2013). Cathérine de Heilbronn is included as a supplement to the DVD disk Die Marquise von O. Retrieved 10 January 2015. ^ a b c d e f g "French film-maker Eric Rohmer dies". BBC. 2010-01-11. Retrieved 2010-01-11. ^ "Berlinale: 1983 Prize Winners". berlinale.de. Retrieved 2010-11-20.